Industry leaders underscored the advantages of going digital for small and medium enterprises during the Digital Transformation for SMEs Business Forum last October 2. The forum, held at the Sarika Ballroom in Dusit Thani Manila, was attended by members of the government, private sector, and the Israel Chamber of Commerce of the Philippines (ICCP), among others. Experts in the digital business shared their insights on the state of digital transformation in the Philippines and the Asia-Pacific. 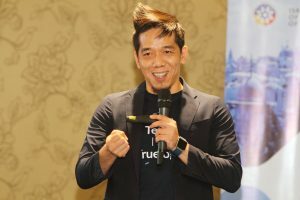 Lugtu then emphasized the role of digital transformation in employee engagement. He said that companies with a shared sense of purpose, freedom to experiment, distributed decision making, and openness to the influence of the external world would likely transition successfully to the digital arena. 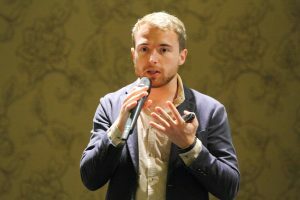 Samuel Jeanblanc, Google Philippines’ Sales Manager, talked about how businesses can scale up with Google. In his presentation, Jeanblanc illustrated the contrast between Filipino internet users and Philippine businesses. 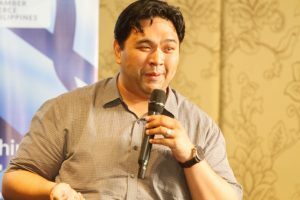 He cited that 65 percent of Filipinos online do their research on the internet and 10 percent of them make purchases. Despite this, only 1 percent of almost one million Philippine businesses have a website. This contrast was seconded by Carlo Ople, PLDT’s Vice President for Digital Strategy and Consumer Disruptive Business saying that businesses are targeting the millennials, a growing and soon to be the biggest consumer segment in the Philippines, but marketing to them in old fashion ways. Organizations are not where their customers are and are therefore not establishing their relevance. According to him, millennials rely heavily on social media to be updated on both current events and current products and services. The good news, though, is that businesses are learning how mobile optimization is accelerating the shift to the digital economy. It can be seen in travel and transportation with Grab, Waze, Airbnb, and Lalamove mobile applications, as well as in entertainment with Netflix and Spotify’s popularity. 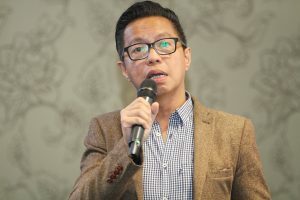 Bernard San Juan, General Manager at Truelogic Online Solutions, further emphasized the importance of these mobile applications, giving stats on Filipino online purchases. According to him, Filipinos spend Php4.2 billion on music and movies, Php1.5 billion on travel, and Php1.4 billion on toys. Other online purchases include vehicles (Php861 million), clothing and apparel (Php712 million), and financial services (Php572 million).